If this were a traditional story, I'd be riding a white horse and wearing shining armor right now. The great evil was in front of me, my faithful companion was beside me - it was a storybook setup. I'm allergic to horses. I don't own a set of armor. And my life is never "by the book." Thunder crackled across the sky, startling me slightly. A few raindrops fell, but the downpour that had been threatening all day failed to come. I continued marching up the hill we were currently on, conscious of the mountains looming above us. I glanced right to check Infernus' progress. He plodded onwards, tireless as ever. Wings folded at his sides, he held his longsword in a clawed hand. It was reassuring, seeing him there. The ground beneath us gave way from grass to sand and rock. We crested the hill and stopped abruptly -- the ground dropped away to a cliff only a few meters away. I looked about, trying to figure out a way around. The cliff curved away off to our left - a quick detour and we would be back on course. A familiar voice from behind me interrupted my thoughts. "You really don't give up, do you?" I turned to see the man in gray standing behind us at the base of the hill. As usual, I hadn't seen or heard him approach. He stood about my height, and was dressed formally -- a dark gray suit and pants, a lighter gray necktie, and a neutral gray medium-brimmed hat. Dark sunglasses seemed out of place with dim lighting, but complimented his outfit well. His red Scorchio walked alongside him, similar to Infernus but darker colored -- almost a rust color. Unlike before, they were both armed -- the man in gray carried a curved, katana-like blade while the Scorchio held a longsword made of some red metal I couldn't identify. "I told you before," the man in gray continued, walking towards us, "that sometimes you just have to run. Fighting the inevitable isn't worth your life. I never thought you'd be such a slow learner. I guess I overestimated you." He took off his hat, tossing it aside to reveal short, golden blonde hair. Next, he threw off his formal coat, revealing a utilitarian gray T-shirt underneath. Lastly, he threw off his sunglasses. Odd gray-green eyes glared at me, changing color slightly as the lighting shifted. I had seen those eyes before. Every time I looked in the mirror. I, Sabreur, stood sword in hand, mouth open in shock. Another Sabreur stood facing me, deadly calm in his eyes. "Now that's a new one," muttered Infernus from beside me. I noticed his gaze focused on the other Scorchio and realized for the first time that aside from the darker coloration, the other Scorchio was a perfect match of Infernus. "Like them?" Nightmare's voice spoke from the mouth of my duplicate. "I have always enjoyed a bit of irony. You would have been an ideal tool, but you had flaws. That pesky free will of yours has been a serious annoyance. Besides, you're too slow for my liking, and not nearly strong enough. Sometimes I wonder why I bothered with you at all." A soft chuckle reached my ears. "But then, that's why I built these two. All the usefulness of a human, but totally obedient. No conscious thought, no feelings, no emotions to get in the way. All they are is robots, really. Sabreur, Infernus, say hello to your replacements. Sabreur 2 and Dark Infernus." My double and his Scorchio nodded as their names were spoken. "They are stronger than you, faster than you, better in every way. I had originally used them as a way to speak to you. To persuade you to give up, to run, to quit. You were intelligent, I was certain it would work... but you disappointed me." "Quick question," I said, my innate curiosity getting the better of me, "how come this 'Dark Infernus' never spoke? He hasn't said a word the entire time." "They are incapable of thinking independently of me, and I never took control of Dark Infernus. Besides, why should he speak?" replied Nightmare's voice, sounding genuinely confused. 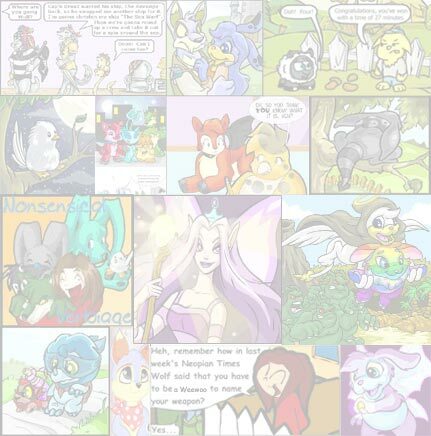 "Neopets were meant to serve and obey. Why should they need to act on their own?" Infernus and I stifled a series of laughs. Sort of. "YOU DARE MOCK ME!?" roared Nightmare through Sabreur 2. "Sorry, but you just make it too easy!" I snickered. "You should have paid better attention. 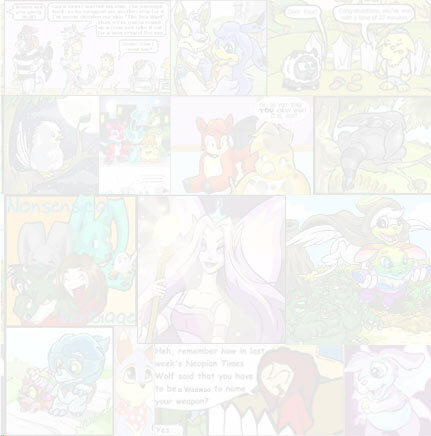 Neopets aren't really 'pets'." I looked at Infernus. "They're more like really good friends." "What they are is irrelevant. Strength is what matters, as you are about to learn. Goodbye Sabreur," the voice growled from Sabreur 2, although my duplicate showed no trace of feeling. "Sabreur 2! Dark Infernus!" Our doubles looked up. "Here are your final orders. Complete them at all costs. Sabreur 2, you are to kill Sabreur. Dark Infernus, kill Infernus. Begin now." In an instant, we were embroiled in fierce melee. I barely had time to register movement before Sabreur 2 was on me, his (its?) curved blade arcing towards my neck. I barely got my own blade into a parry. Even when I did, the force staggered me. The noise beside me indicated that Infernus was also hard-pressed to defend against his double. How can anyone be this fast!? I thought frantically as Sabreur 2's katana flashed past my face in a near miss. Or strong, I added as I parried his return stoke and was nearly blasted off my feet. I was being rapidly being forced back towards the cliff edge. Aiming low, I counterattacked with one of my favorite low-line slashes I had learned in fencing. To my surprise, it nearly connected, ripping Sabreur 2's shirt. Sabreur 2 backed away, putting more distance between him and me, despite the fact that it wasn't tactically sound to back away after my attack was already completed. Realization struck me. My duplicate wasn't human -- Nightmare had said as much. No free will. No originality. No initiative. A smile crept over my face. Nightmare wanted a mindless automaton, and he had gotten exactly what he'd wished for. With my realization, Sabreur 2's insanely fast attacks seemed to slow to a crawl. He was still far faster than me, but he had a pattern. For a fencer like myself, patterns are pathetically easy to take advantage of. Sabreur 2 slashed towards my neck - but I had already taken a step back and was out of range. He followed up with a return stroke - I had side-stepped and raised my blade in a parry. Sabreur 2's enormous strength smashed into my blade, but I already knew the angle of his attack and the force was harmlessly redirected away from me. I continued to rotate around Sabreur 2 until his/its back was to the cliff. Sabreur 2 showed no indication of noticing. I lunged, blade extended in a low-line attack. Predictable as clockwork, Sabreur 2 backed away, swinging his katana to block my attack. I braced myself as a jet of flame erupted from the Advanced Fire Saber and blasted into Sabreur 2. My double's eyes betrayed no emotion as he was knocked backwards and over the cliff. "Look out!" shouted Infernus from behind me. I turned and ducked as a rust-red blur shot overhead. I watched as Dark Infernus plunged past over the edge of the cliff. I rushed over and looked down. Far below, Sabreur 2 hung from leather straps on Dark Infernus' legs, hang gliding to the earth far below. They were both obviously too damaged to continue fighting. "Deactivate," I spoke, my saber immediately quenching the raging flames around it. Infernus walked over, breathing heavily. He was scratched in a few places, but was grinning. "Way too predictable," he said, shaking his head. "That was almost embarrassing." "Glad you made it okay," I replied, digging into my backpack. I passed him a healing potion from the first aid kit. He took it gratefully and chugged it down, his various cuts disappearing without a trace as he did so. Another flash of lightning illuminated the sky. Every alien Aisha raced across the hall, strapped on their space suits, and followed the marching group to the spacecraft’s exit. "I’m going to be the most responsible Krawk in all of Neopia! Not one thing is going to go wrong while I’M in charge, I’ll make sure of it." "You monster!" I yelled. "I will be back one day! When I do I will destroy you and your space station."